and meeting center providing the ideal space for your next event. 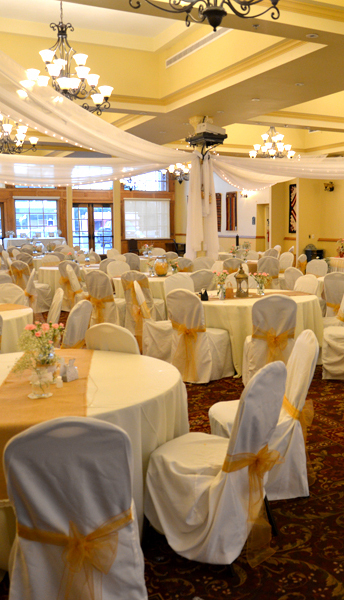 Whether you are planning a wedding, family reunion, or business conference, the historic Plaza Hotel contains a premier ballroom and meeting center providing the ideal space for your next event. 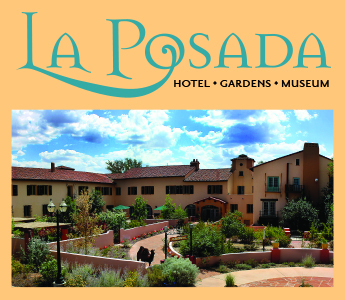 The Historic Plaza Hotel provides the perfect setting for an unforgettable western wedding, family reunion or gathering, laced with history and an unmatched feeling of the Old West. We can accomodate any size group from an intimate gathering to a great family celebration. Our Ilfeld Ballroom as it has a seating capacity of 180 with tables and buffet, or we can serve up to 120 with plated seating. Groups up to 30 or can use our downstairs Salon which provides a more private meeting space with window wells for natural light and original stone walls for historical ambiance. The Plaza Hotel has over 6000 square feet of meeting space. As the premier meeting and conference center in Northeastern New Mexico and the hotel of choice for business travelers to Las Vegas and the surrounding area, we are committed to making your meeting and business events run smoothly. We offer negotiated corporate and government rates for groups and individual business travelers, and many business conveniences including wireless internet throughout the hotel, modern audio/visual equipment, and fax and document/parcel receipt and delivery services. We know how important your wedding is, to you and your family and friends. You want a special setting and for everything to go right, but wedding planning takes time. It helps to have experience at hand where your wedding is being held. The Historic Plaza Hotel’s team is ready to roll up its sleeves to help plan and coordinate your wedding or family gathering. We can help with everything from finding the right photographer and florist, making a fabulous wedding cake, advice on decorating the room in your colors and style, and help in finding the right classic car, limo or carriage for your transportation! We can also help you find musical entertainment whether it be a DJ or a band. Our grand staircase provides a superb photo setting for you and your wedding party, and the conveniently leads upstairs to the bridal suite.